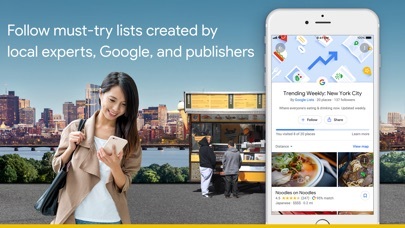 Google Maps - Transit & Food App Data & Review - Navigation - Apps Rankings! 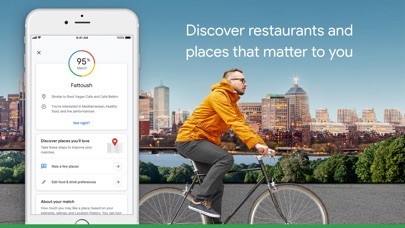 Google Maps - Transit & Foo.. 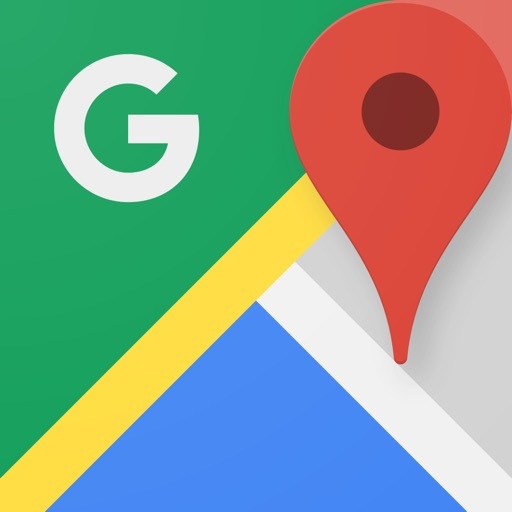 The applications Google Maps - Transit & Food was published in the category Navigation on 2012-12-13 and was developed by Google LLC. The file size is 203.24 MB. The current version is 5.16 and works well on 10.0 and high ios versions. 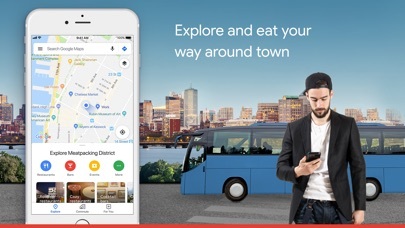 Do you like Google Maps - Transit & Food applications? Please share! I love your app it’s amazing you can even see what places look like in real life it’s super awesome keep it up. I use google maps for everything and since this new update it doesn’t give me accuracy on anything. Not on the time it’ll take to get to my destination nor my location accuracy. Google PLEASE fix this. The new update is unreliable and dangerous. Turn by turn navigation is horrible and dangerous as it does not properly sync with car. The gps is inaccurate - keeps showing my car is on service road when I am on a highway and thus giving me inaccurate directions in the middle of planned trip confusing the driver. The touch response is laggy, turn by turn navigation is super slow - the map does not follow car when driving. I already turn left in the intersection and move about 100 meters, but the map shows I am going in the direction 90 degrees of my actual path which requires me to think if I have taken a right way. Again, this is extremely dangerous while driving. Please fix this. I’m so frustrated with this app. All I want is for it to just work. I chose a specific route, and google thought I wanted the fastest route. NO! I want the route I choose and I don’t want google’s ridiculous suggestions that are more dangerous at times. All to save 10 minutes??? Stop forcing people to take specific routes. Allow people to chose their own routes and stick to them. 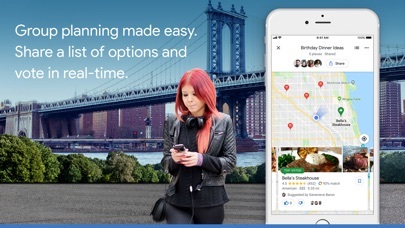 This app is wonderful for navigating the city and locating points of interest. It makes visiting a breeze. I’ve always loved google maps over the traditional maps that came with iPhones. But I’ve noticed myself switching back to apple maps because it connects with my Apple Watch. This app would receive 5 stars if it just connected to my Apple Watch. Overall I prefer Google maps, especially now that I can use it with carplay. However, some small changes would make it even better. I'd like to have a watch app that alerts me of upcoming turns, like Apple maps does. I would also like to know when an intersection where I'll be making a turn is a stoplight. Just some things to make it even more user friendly. Update: Still would really like to have the watch integration, that's something I do like about using apple maps. Using Google has been fine around where I live, but has had some problems on longer drives. Recently, Waze was able to save me 45 minutes by finding an alternate route around a wreck when Google insisted the fastest way was to wait it out in traffic. Not thrilled with this app lately. I used to love google maps. But recently it stopped functioning, the compass is so confused. Won’t re route. I have tried everything suggested on google. Nothing works and I heavily depend on this app. Frustrated as I have to pull over so many times to get to destination. Worst app just let me do this!!!! I hate the app I tried to go to the and we had to pull over 5 times the lady went crazy took us 2 hours to get there if I were you never get the app!!!! The last couple of updates have killed this app. Can no longer tap and zoom and move around the map on my cars screen when connected to apple carplay. It’s useless now with CarPlay. Will use another app when driving from now on. I tried installing twice but the re routing does not work while using the app. Not easy to figure out how to turn the audio on. Latest version sometimes locks up on startup with no map, no date being displayed and you can’t tap on any GUI buttons. Also, you need to turn off that junk at the bottom recently introduced that tells you about things around you. 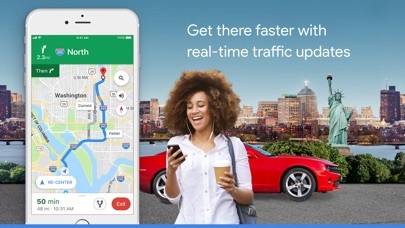 I don’t need that taking up screen room when I’m opening up the app to quickly check the traffic on the roads around me. I just need the app to quickly open and display the map full screen with no other BS interfering. Why doesn’t the app support split view and slide over? You drive to your destination and the app thinks it is done, and it is on switched power-off mode. And when you have to drive near, it tells me I should walk for my health. (Why walking mode just because it within 2 min driving distance. Get it? Once it is on, it should me off power-off mode all the time to function as a driving app!!!!!! Who wrote this app? Drain the orange swamp! My wife loves this app but I find it super annoying, very inaccurate and slow. I cannot tell how many times the map took me in the wrong direction or made miss an exit, etc. Unusable junk in my opinion. I have admit that the public transportation part works great. they deleted the label tag on the map. I need it to memorize a spot in the city and used it very often almost every day. i am getting in trouble. please bring it back. I like you very much.Keep trying on! I suggest to add the temperature indicator in the map!!! Has car padestrians trains cyclists but not hgv? When im driving an articulated truck. The maps works food except it keeps wanting me to take the shortest route which is a no no. I need to be kept in the smoothest route or on the big wide roads etc also need low bridge warnings too. If ye can add that thatll save me 500 quid on truck nav. Also there should be local accents on each countries because some place names make me laugh. When I connect my phone to handsfree it automatically plays music im not sure if its the phone or the maps or the head unit that starts playing music without me asking it to. Gmaps is great for car users. Hopefully an update will fix those problems. Use this every day now. Shows the fastest route every time. Don’t buy a sat nav. I’ve given up using it, rubbish. M. Dublin. Just about every time I try to get directions lately, I get the same response- ‘can’t seem to find that place - try again” Waste of time.